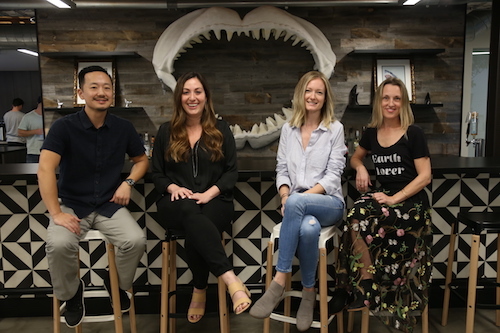 Independent Los Angeles agency Zambezi expanded its leadership team with the arrival of four new hires across communications strategy, brand strategy and account management. Park joins Zambezi as executive director of communications strategy and will be tasked with overseeing communications strategy and social media for the agency and its clients.. He joins Zambezi following nearly six years at Red Bull, most recently serving as senior director of advertising. Prior to joining Red Bull he spent seven years with W+K Portland, working as associate communications planning director on Nike. Burgeson arrives at Zambezi as executive director of brand strategy, tasked with leading strategic insights for all clients, as well as Zambezi’s female insights practice, Zambezi X. She arrives at the agency following a brief stint as vice president, marketing for Fender Musical Instruments Corporation. Before Fender she spent around a year as head of strategy and insights for PMG. Prior to that she spent over two and a half years at Supermoon as partner, director of strategy, following stints in group planning director roles for McKinney and Deutsch, during which time she worked on accounts including Taco Bell, Travelocity, Nationwide and Sherwin-Williams. Stayt joins Zambezi as group account director following over two years with the recently-closed Los Angeles office of CP+B, working as account director on Amazon Studios, Amazon Prime Video and PayPal. 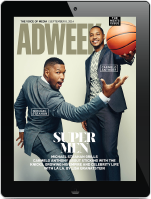 Before that she spent over four years at TBWA\Chiat\Day L.A., most recently serving as brand director for Airbnb and Twitter. David arrives at Zambezi as a group account director after over four years with 72andSunny as a brand director on Uber, Carl’s Jr. and Hardee’s. Before that she spent over three years with the Los Angeles office of Deutsch, first as an account executive on Playstation and then as an account supervisor on Target, Netflix and HTC.